Witches Meadow is your gateway to Transyl-vein-ia. Literally. Most portal travelers to Transyl-vein-ia will find themselves at Spell Willows in Witches Meadow first because that’s where covens of witches, during the Witching Hour season (August through September), open the portals. Upon your arrival, you’ll find yourself in the middle of the big Witching Hour festival. Monsters will be lining up in the world-famous Black Cauldron Encampment to go into the human world for Halloween time. So show up ready to have fun. 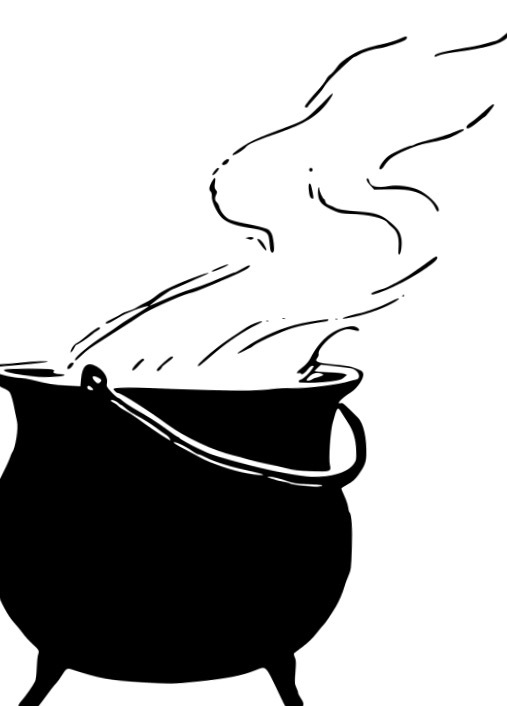 Experience true Witches Meadow hospitality when you’re ushered into one of the many soothing, boiling cauldrons used to cast spells and what-have-you on those visiting. You’ll be greeted with a cliché but honest-to-goodness “We’d love to have you for dinner.” Do yourself a favor: Accept the invitation. If you survive that, there are plenty of other ways to meet your doom in this first of 13 districts in Transyl-vein-ia. Once you take in the sights and screams of the festival, with its spells and witchy mayhem, allow yourself some time to get something to eat. You won’t find better crawdads anywhere else. These things are actually still glowing when they’re served to you at your table right there on Coven Creek. Explore the legendary Witch Way Caves. Considered the area’s best way to get lost for good, the 22 miles of trails through an underground network of caves just off the festival grounds has tunnels that lead nowhere, some that cave in and others with creatures that have yet to be identified. Shop at the Witches Market in Wicked Forest. This is a highlight for bargain hunters, and just a quick boat ride down the creek from Spell Willows with Charon the Ferryman. Among the usual places to pick up toads, rats and black cats, you’ll find vendors offering spell books, magic eyes that tell the future and flying brooms in various colors, sizes and trim packages with 20 to 60 percent off the retail price. While in Wicked Forest, you can explore the homes of several different witches, some in huts, some in castles up the mountain. All witches have open houses, open hearts and open spell books to use on you. Go up the mountain and take in the breathtaking views at Take-Off Point. Gorgeous, unique and especially terrifying, few activities compare to trying your luck on broomsticks that may or may not take you up, up and away. If you find yourself down in the gorge, which most do after visiting Take-Off Point, you can try your luck again in Black Cat Corner. Or hang out at the Hanging Tree. But the highlight of a visit to Witches Meadow is the Snake Pit. Monsters come from all over to try this life-changing, most times life-ending experience. Conquer your fears. Dive headfirst into the pit and take on some of the largest pythons in any world. In over 200 years, the Pit has not had one safe jump . . . And counting.